Sunday, January 21 marked just three nights since a Montgomery, Alabama, Taco Bell caught fire and burned down. A candlelight vigil held that night at the scene offered at least some hope of closure to the more then 100 mourners gathered to pay their condolences. Though the blaze didn’t result in any injuries, the loss of the restaurant itself has devastated the tight-knit, gordita-loving community. “I’ve had a lot of memories created at Taco Bell,” area comedian Ashley Nicole Portis told The Montgomery Advertiser. At the vigil, Portis performed an emotional rendition of a Taco Bell parody video she’d recorded last year. Some in the crowd held candles while others draped their arms around each other for comfort and support. Seemingly everyone in the crowd was touched by the show of unity and determination in the face of such devastation. 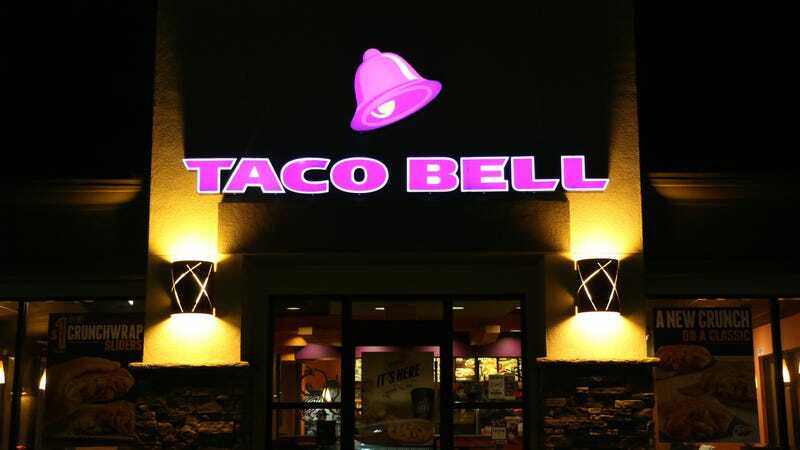 While nothing can come close to replacing Taco Bell—except perhaps a new Taco Bell—the still-reeling community hopes the vigil will initiate the difficult process of healing and eventually, moving on from the tragedy. Local officials are asking for the public’s continued thoughts and prayers during this time.